Coolioz I'll check those out. I don't really have an overall favorite. I'll just say strategy games are what i like best; Age of Empires Gold, Age of Empires 2, Command and Conquer games...ect. I forgot to mention that pac man game is the one from igoogle. meric and Shaz22 like this. Everything else for me failed in comparison. 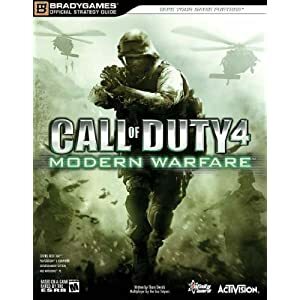 I was like a crack addict when it came to COD 4! Heck one of my previous computer systems, nick named the Beast, was solely built around the system requirements for COD 4, granted I went way over the requirements, way over! Good choice. Final VIII and XII are my favorites. Final Fantasy VII, Warcraft 3: Frozen Throne, and StarCraft 1 & 2.
for now : Dirt 3 , Duck nuckem forever 3D. I would say mine is Team Fortress 2 at the moment. Although, just starting to play Left 4 Dead 2 on my 360... I think I may have found a new game to try out on my pc. Someone told me this is a very good game, online, or it's possible to buy it for £5 in some shops under the 'Focus' brand name, in the UK. 'Bejewelled' or 'Bejewelled 2 or 3', etc. Two of my favourite games of all time are NFS Underground 2, and then Return to Krondor, an ancient game that I doubt you can get these days. It's a fantasy turn-based RPG that occurs in the world created by Raymond E. Feist, and your main character is Jimmy the Hand, a character that comes straight from his books, though aged a bit. A great PC game comes to mind: Hidden and Dangerous 2. The amount of fun I had finishing it was unreal. Old army style was amazing. What is your favorite stealth video game/franchise?